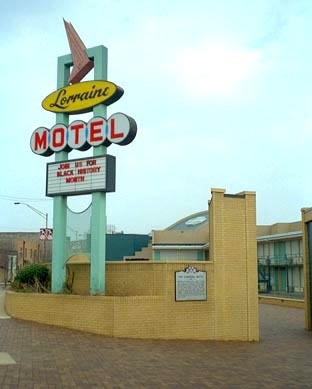 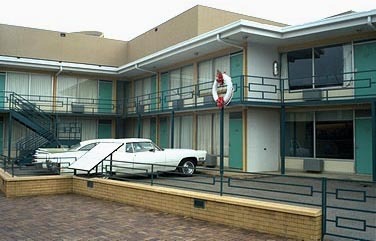 The Lorraine Motel now houses the National Civil Rights Museum. 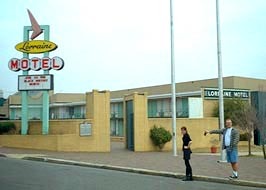 For a bigger picture of the whole motel front, click the picture above. 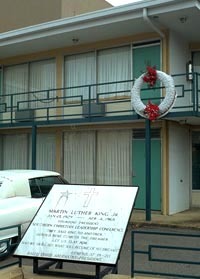 The spot where Dr. King was assassinated is marked with the white wreath. 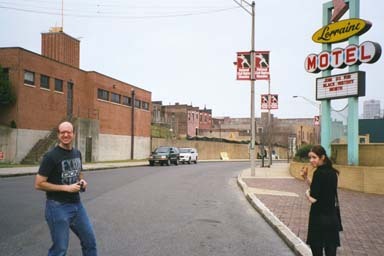 The cars parked in front are for historical authenticity. 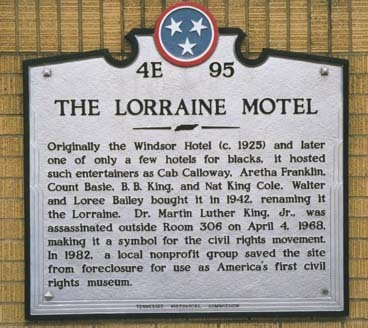 For a bigger copy of this (if you want to read the words), click the picture. 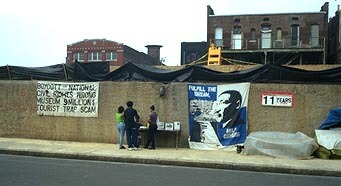 There always has to be a protest.